Sicilians will definitely get nervous about the idea; I know my husband did when I told him what I was making. Cannoli nachos? In Sicily, cannoli are special, sacred and taken very seriously. And we all know how delicious they are. 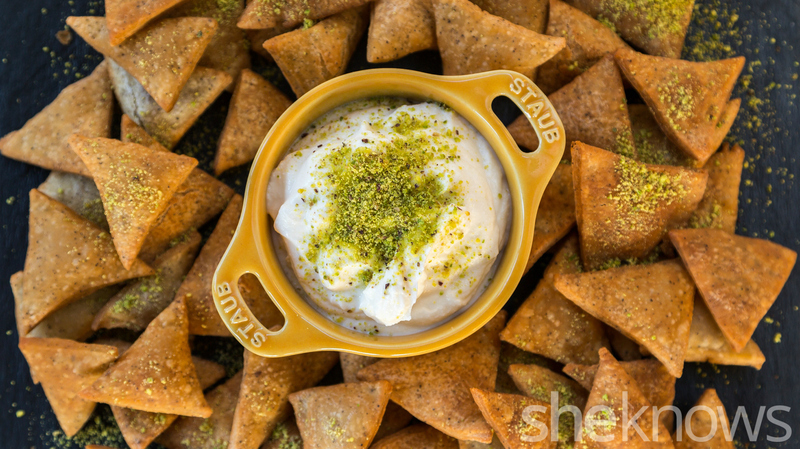 But miles away from the island, we can create something fun using the same ingredients, but with a twist — nachos made of cannoli dough and dip made of sweetened ricotta, sprinkled with crushed pistachios or chocolate chips. 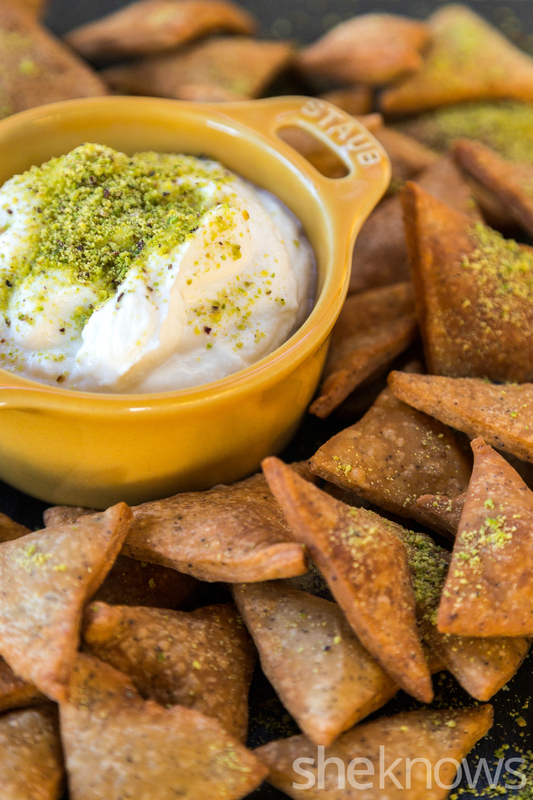 Once you dip the freshly fried cannoli nachos into the ricotta dip, you will forget all about what shape they are, because they are unmistakably the one and only cannoli flavor we all love. My husband dipped his first nacho with uncertainty, but he gave me a thumbs-up and ate some more. Yes, I was forgiven for making the traditional cylindrical-shaped food in nacho form — it’s still the same taste he grew up with. In a medium bowl, combine the ricotta and 3/4 cup of powdered sugar. Add more sugar if you want it sweeter. Using a fine mesh strainer, push the ricotta-sugar mixture through with the help of a spoon or rubber spatula. Let the mixture fall into a new bowl. Cover the bowl with plastic wrap, refrigerate, and then set it aside. In a mixer, combine the flour, the remaining 1/4 cup of powdered sugar and the cocoa powder. Add the lard, egg, Marsala, espresso and vinegar. Mix well, and shape into a ball. 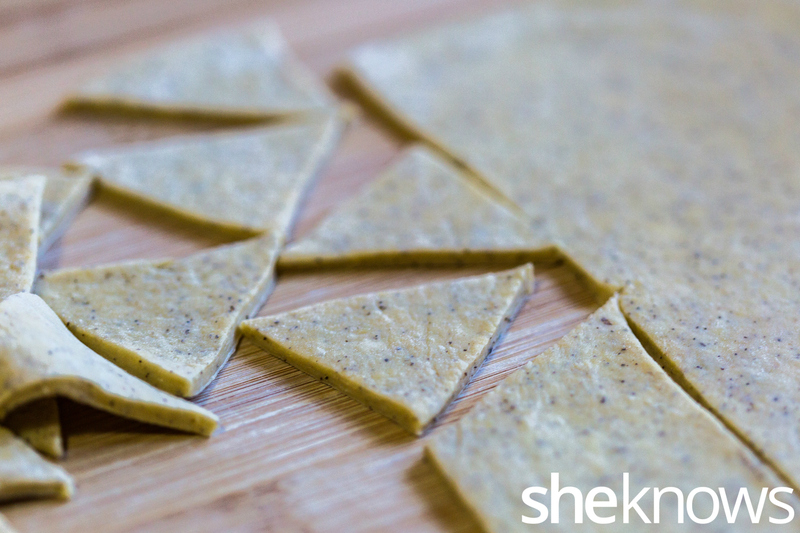 With a rolling pin, flatten the dough on a wooden board, and then slice it into triangles, like nachos. In a deep frying pan, heat the oil. When the oil reaches 350 degrees F, drop the cannoli nachos into the pan. Don’t overcrowd them; work in batches. When they have reached a golden brown color, take them out with a slotted spoon, and transfer them to a plate with paper towels to absorb the excess oil. Sprinkle with crushed pistachios or chocolate chips. Serve the cannoli chips immediately with the ricotta as a dip.